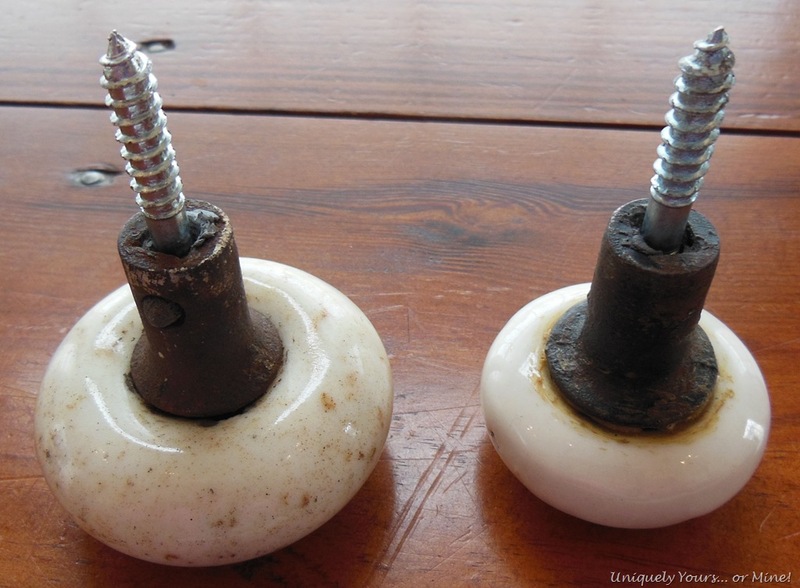 Vintage Doorknob Hooks – Uniquely Yours… or Mine! This was a SUPER easy project to do… for me the hardest part was figuring out how to do it and since I have already done that for you the hardest part for you will be finding the perfect knobs… lucky you! 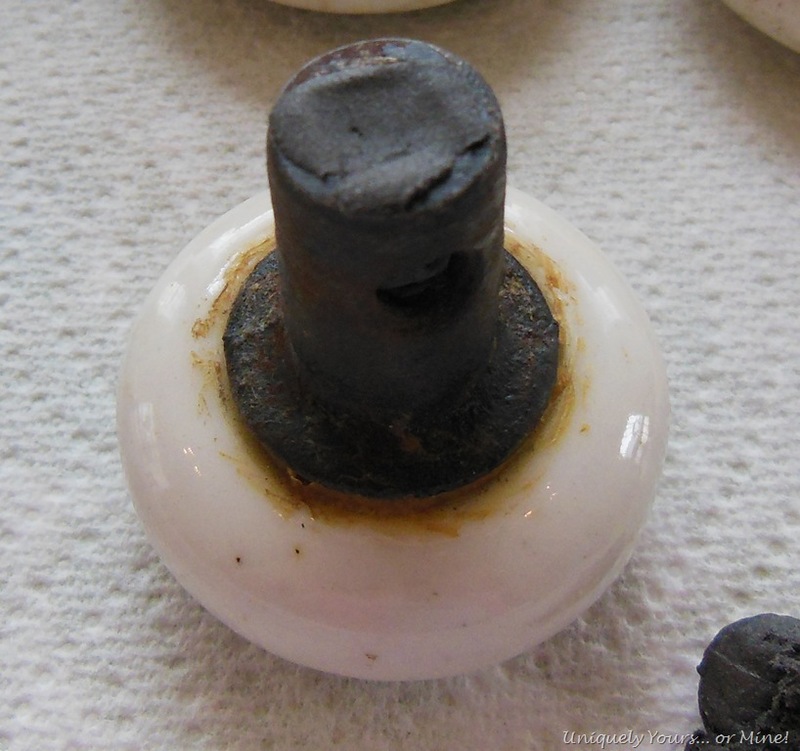 I bought a BUCKET full of these vintage knobs, I know… some people will hoard anything 😉 Some of them were full sets, but these were a few of the single ones, they were exactly what I was looking to use for this project. They are rather beautiful and aged and perfect for installing in the new dressing room area we are working on for our youngest daughter. 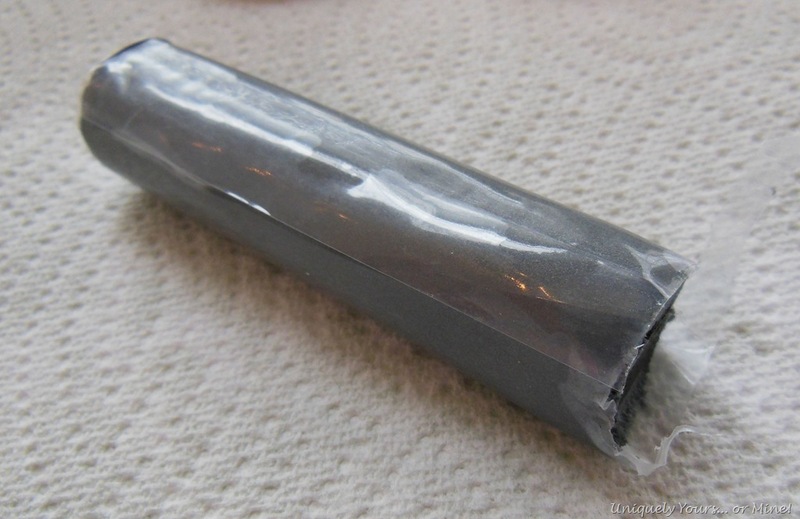 PLEASE use gloves… it’s more awkward but necessary, you do not want this stuff on your skin! 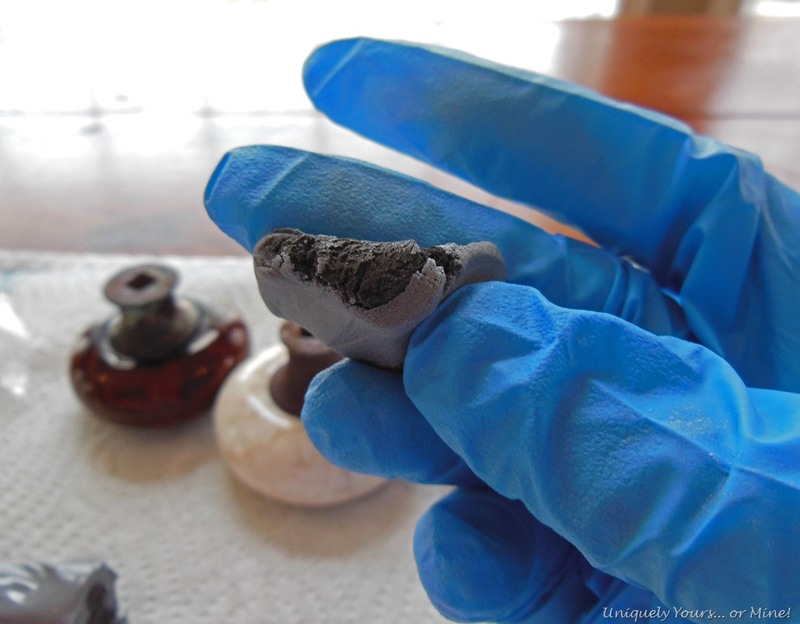 You knead the epoxy with your fingers until the two colors blend into one. I rolled it into a worm shape and shoved it into the stem of the knob. Make sure you put enough, you want the bolt to push it out some so you know you have it in there snug. Insert / push the hanger bolt as far as you can into the stem of the knob. Then remove any excess that is squeezed out of the side or top, I used the knife to scrape it off. Make sure your bolts are level, I just eyeballed mine and that appeared to be good enough. The product sets in 3-5 minutes and in an hour can be drilled, tapped etc.. 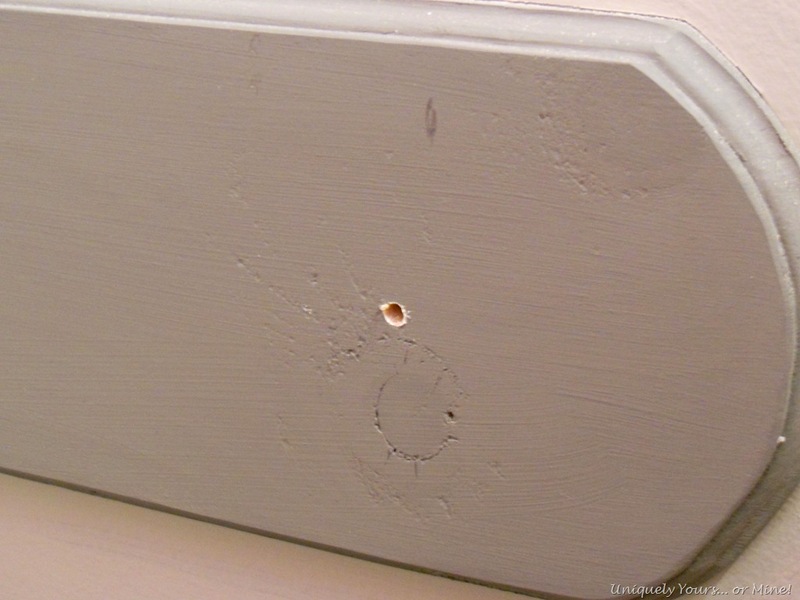 While the product was setting I drilled a hole in the wood shelf supports. This is why we installed the supports out further than the shelves… you will need to screw these knobs into a stud or wood support of some sort! I screwed the knob in once the product had set… this project was seriously just as easy as I’m making it sound. 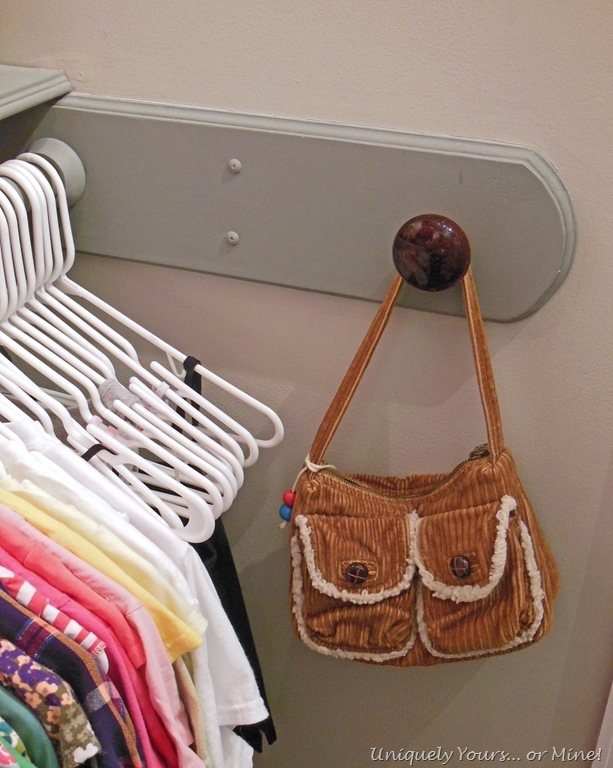 Now she can hang purses, hats, scarves, robes, outfits whatever she wants from these knobs… I’m installing 6 in the closet… you never know what a girl will want to hang up… and I’m HOPING that she will want to hang up stuff on her “new” super cool knobs! I do all I can to help the girls stay organized and have clean rooms but you know the old saying “you can lead a horse to water, but you can’t make him drink” so it will be interesting to see what she eventually ends up hanging on these… as long as it’s something I will consider this experiment successful! So much cuter than a hook from the store! Thanks Sharon! I love the vintage knobs so much and I’m glad I found a place to use them! This is awesome! I have a bunch of knobs that I am going to do this to. I had seen a tutorial using the liquid expoxy, but this is SO much easier. Thanks! I think I saw the same tutorial and was like, no way am I going to be able to drill a straight hole! This works like a charm… have fun and thanks for stopping by! i love this idea! they look great and you did a great job! Thanks Cassie! It really was a super easy, but rewarding, project! 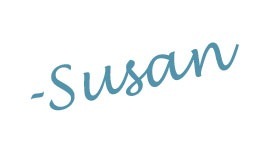 susan, i love the age of these and how you have incorporated them into a place to use and see their beauty. if you find a moment, stop by and enter my giveaway, we’d love to have you. Awesome. I have a few of those knobs I was going to make a coat rack out of and now I don’t have to figure it out 😉 Thanks! You are going to love how simple this way to do it is… You just have to work fast! Thanks for stopping by and good luck with your project! I have been wondering how to do this! Isn’t it great what blogging can do? Thanks, I have filed this away. Great use for these knobs, and great way to show them off. I have always loved these vintage knobs. Thanks for sharing. It is such a great way to be able to enjoy them if you don’t live in an older home.. Which I do not… Thanks for stopping by! I’ve wanted to know how to do this! Pinning! It’s so easy and works like a charm! Pingback: Do You Have Decorating or Project ADD? | Uniquely Yours... or Mine! 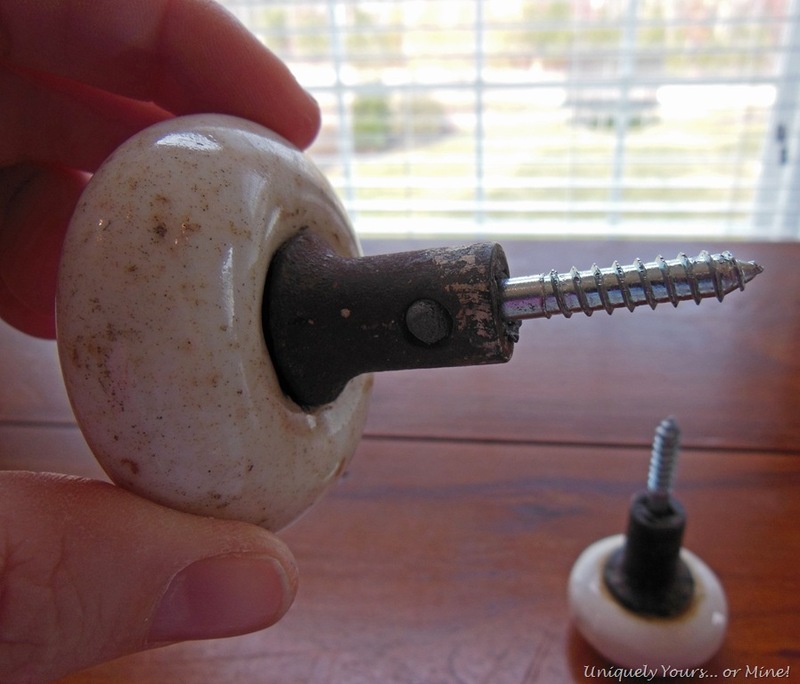 My husband gave up on his project of creating a coat rack using vintage, glass knobs because he couldn’t find compatible screws–hoping this is the solution! Thank you! I know it will work Christina! 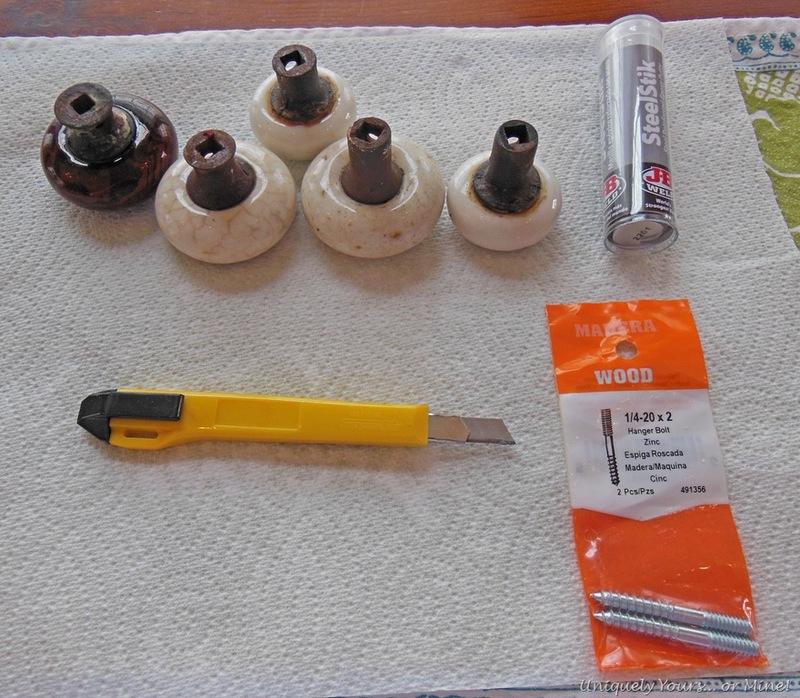 I’ve used this process so many times, I have a bunch of old knobs, so I know how sturdy they will be if you follow the instructions. Have fun! It’s such an easy project, I think you’ll really love it! Thank you so much for the directions and pictures! I have been trying to figure out how to do this with square “holes”. This will work perfectly!! You’re so welcome! It’s such an easy, fun project, have fun! Turned out great! Thank you for doing all the footwork. I’m ready to start my project and now I know what to buy. Very helpful!